If you want to uplift the beauty of your skin without going to a professional facial treatment, then here is something that will keep you at ease. Greenviv Natural Neem and Clay Face Pack is a unique natural formulation that rejuvenates and cleanses your skin impurities, to reveal a natural glow! 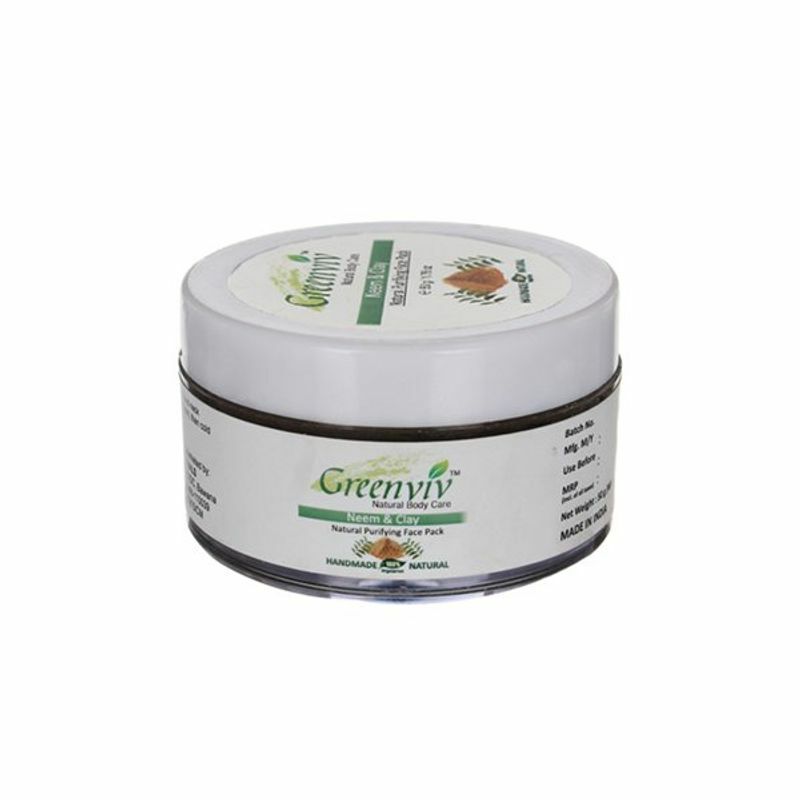 Organic in nature, this face pack can be safely used and rinsed off without worrying about any adverse effects. Its anti-septic qualities will keep your skin healthy & brighten dull, lack luster skin and give it a radiant look. Applying it regularly will soften your skin, leaving it smooth and supple.